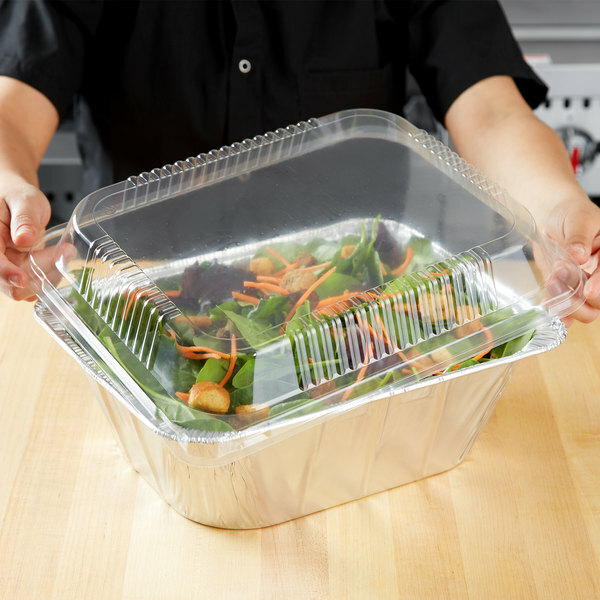 Conserve your food's hot temperature and provide spill-free transportation with this 1/2 size dome lid for a foil steam table pan! 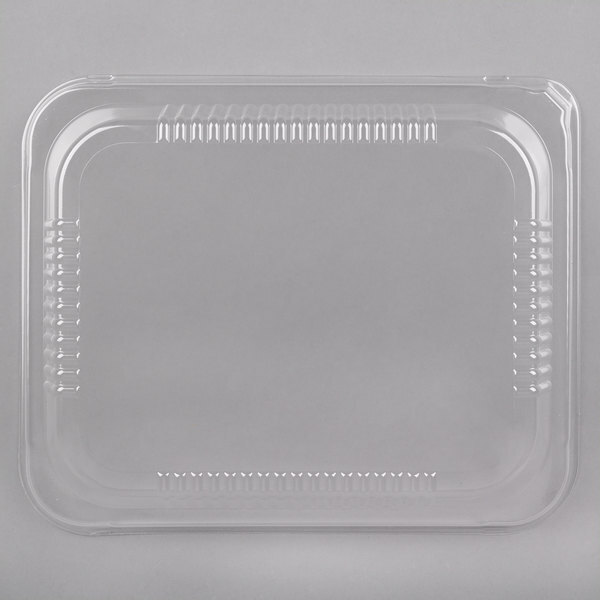 Perfectly sized to fit your 1/2 size foil steam table pan (sold separately), this lid secures all your entrees, sides, appetizers, and desserts! Measuring 1 15/16" high, the clear, plastic design provides optimal visibility and fast product identification making it a great addition to your business. Press the lid on the pan's rim to create a tight and secure seal that provides unparalleled temperature retention and protection against external contaminants. For easy storage, this lid is stackable, keeping your storage area neat and organized. Once your service is finished, you can simply dispose of the pan for fast and easy clean up. Top Outside Length: 12 5/8"
Top Outside Width: 10 1/2"
I was very happy with how sturdy these kids are. They don't crack easily like a lot of the flimsy ones from the grocery store. The problem is that they don't stay on the pans very well. To keep them from popping off, they really need to be secured with tape. 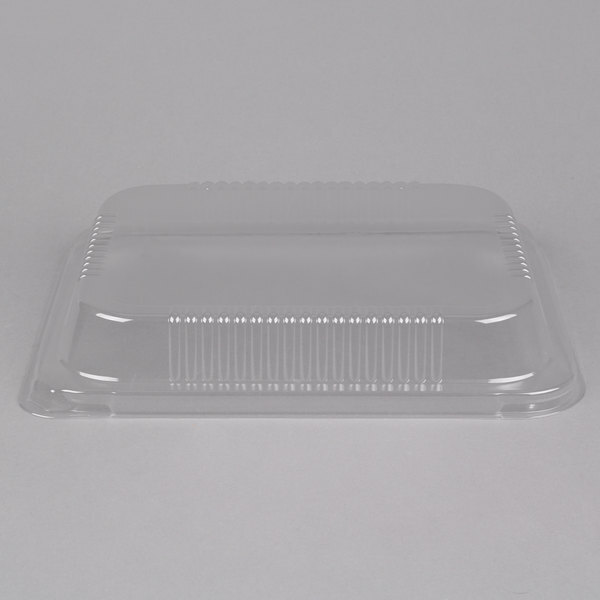 These tray covers were recommended below the 1/2 shallow tray 612601240 and 1/2 612F54255. I purchased 300 pieces and they don't secure to the trays at all. Thank you for your feedback! We’re sorry you did not prefer this product. 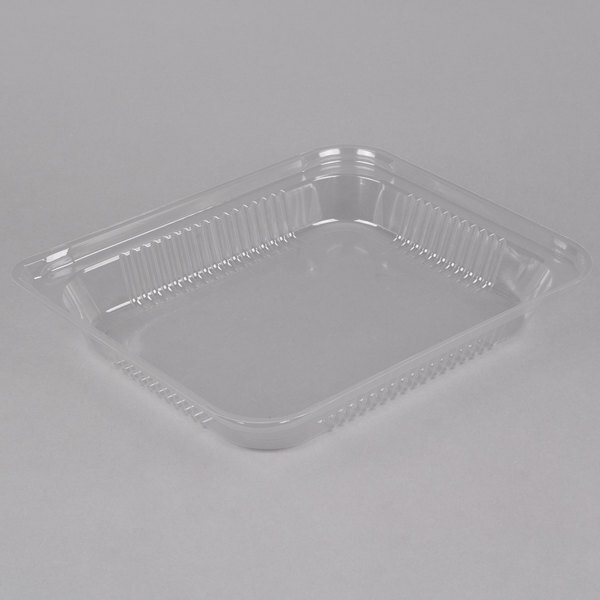 Due to the pans tendency to expand slightly when full, the lids might fit looser on an empty or lightly filled pan. If you are looking for a new pan or lid, please feel free to reach out to our Customer Solutions team for assistance. 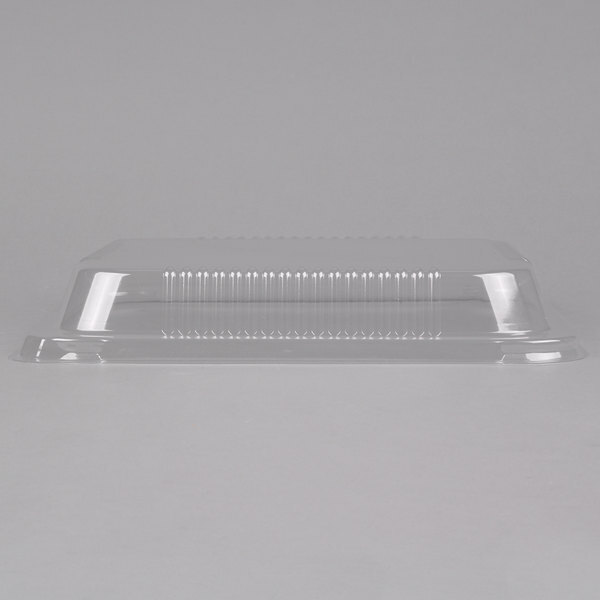 This is the ideal lid for the half size foil steam table pan. It lets you put more salad into the pan than if your had just used plastic wrap. 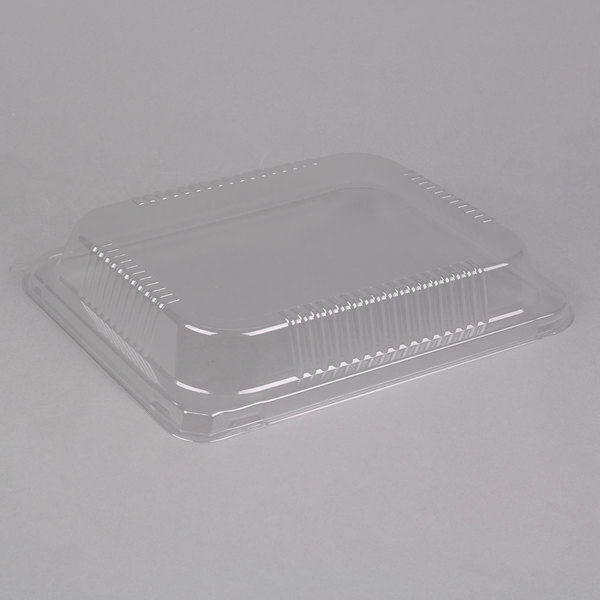 I use this lid along with its partner aluminum pan to hold and display foods for customers to purchase. These lids are nice because they are clear and I can attach my sticker to them. These are a must have for catering!! 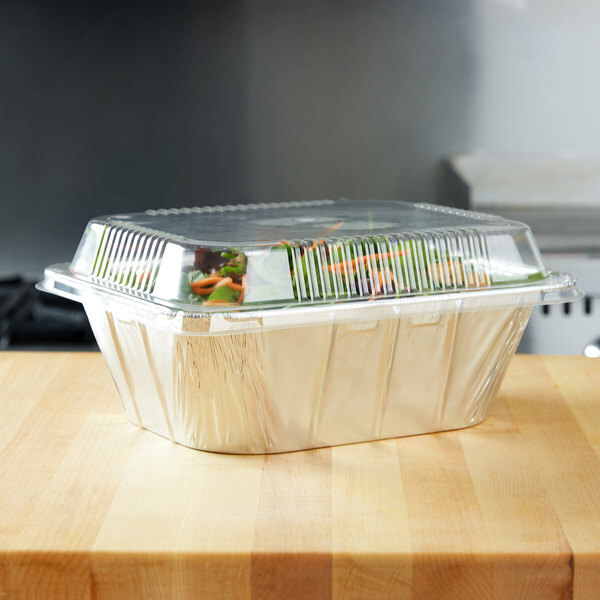 They allow you to prepare food, keep it hot and stack them as needed in disposable steam table pans!!! 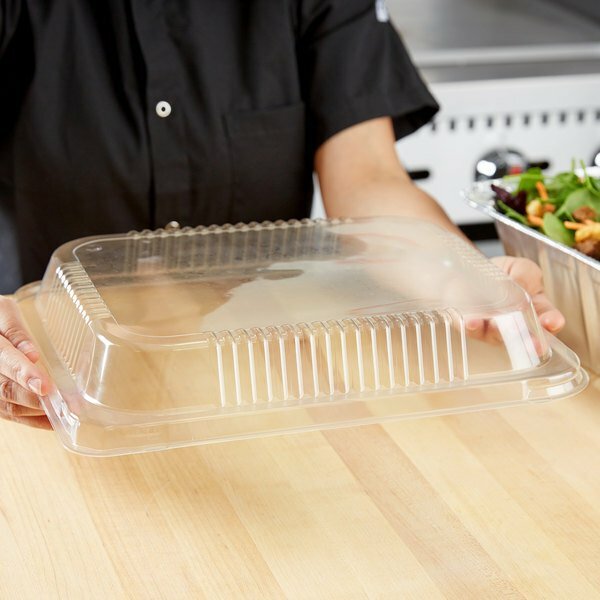 These lids have such a great grip onto the trays! 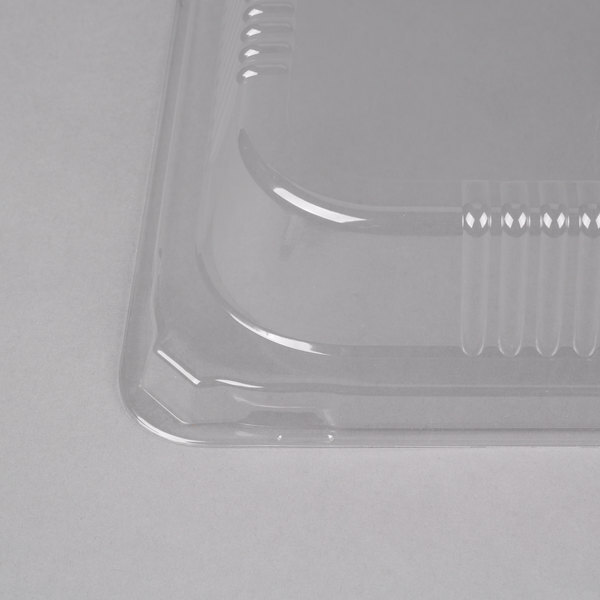 The seem to reduce the typical moisture you get with most plastic lids as well!